I used to be a big eyeliner freak during the times when I had the luxury to patiently draw out my eyes with a basic liquid liner. But when short of time, it is really hard to get the lining perfectly right. 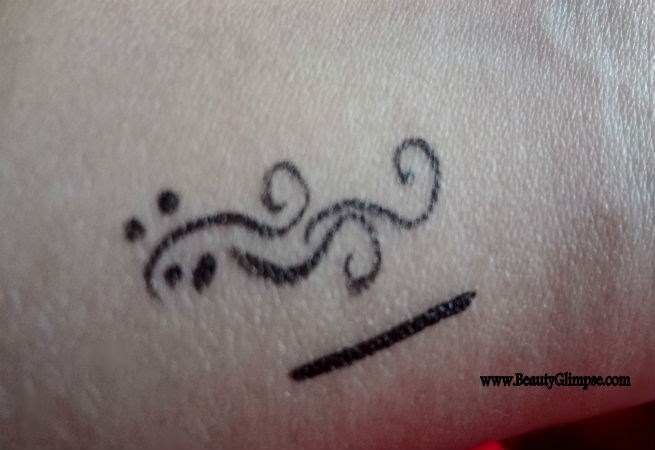 The liquid liners can turn lumpy and haphazard when done in a hurry. Kohl liners on the other hand have never given me the correct definition that I aim for. It was then that I spotted the advertisement for the Maybelline Hypersharp Liner in a magazine. The moment I saw it, I decided to give it a try. It has been a few months since I have been using it and am loving it every single day. It comes in a pretty pen like packaging with a black body and a gold colored cap. It is so sleek that you might as well mistake it for a sketch pen. The liner will easily fit into your wallet or handbag and its convenient packaging makes it easy to carry around and apply. It is priced at Rs.375 a piece. 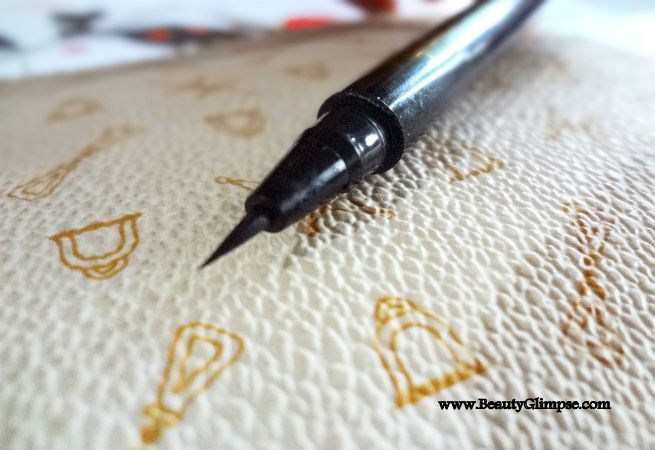 The way the tip of the pen is shaped makes it really convenient, even for first time eye line users to get the perfect definition for the eyes. All you need to do is find a bright spot in front of your mirror, finish all your make up and then just draw a stroke from this super sharp and super sleek liner along your eyes. I thought that the tip was a felt tip but what it is actually made of is a bristles. Yes, it is a brush at the end of the pen which can glide easily along the eyes with least resistance. 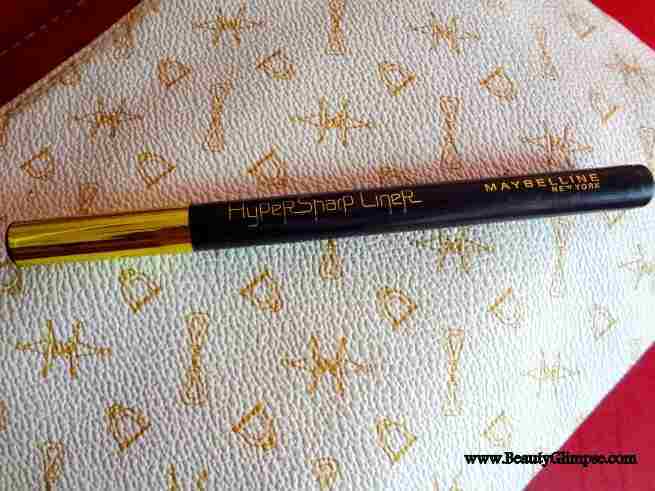 Not just the plain definition, you can also play around with the Maybelline Hypersharp Liner and get creative with designs. Lining is easy and fuss free, it is almost like coloring or drawing. You can get the desired definition in just two coats, and go in for more if you need more pigmentation. If you notice, you can see the liner shining on the eye. That was one put off for me. 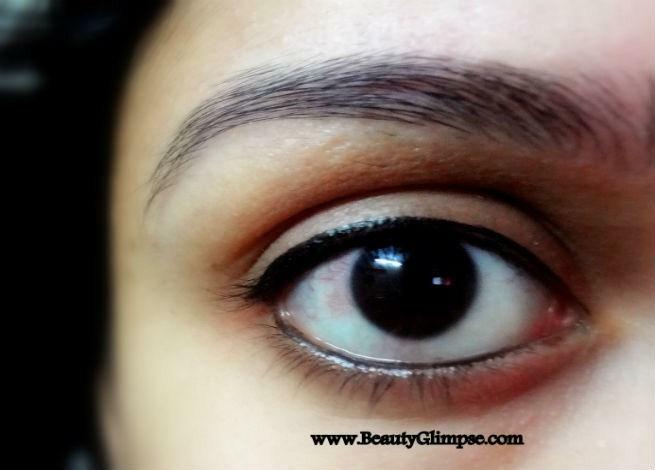 If you are one who loves a matte finish, then maybe you will not love this eyeliner too much. It is bright and shiny, a total opposite of the effect that kohl gives. However, it is water proof and smudge proof. Even light eye rubbing that many of us involuntary tend to do does not upset the definition. But yes, it does become cakey towards the end of the day, but that is expected from shiny liners. You would need to remove the liner with some make up remover or coconut oil. All in all, it is worth the 375 rupees. If you are going out for 2-3 hours, then this is perfect for you. Even for regular work wear, this eyeliner is super efficient if you do not use more than a single coat. Just that, you might want to retouch during your break for the perfection to remain intact. Can wear off and becomes cakey if you apply many coats. Will I repurchase? Most definitely yes!